Discover coins from the classical world and modern Britain. Works of art in their own right, they illuminate the history of cities, states and rulers. The coins shown in this display come from different Rothschild collections. 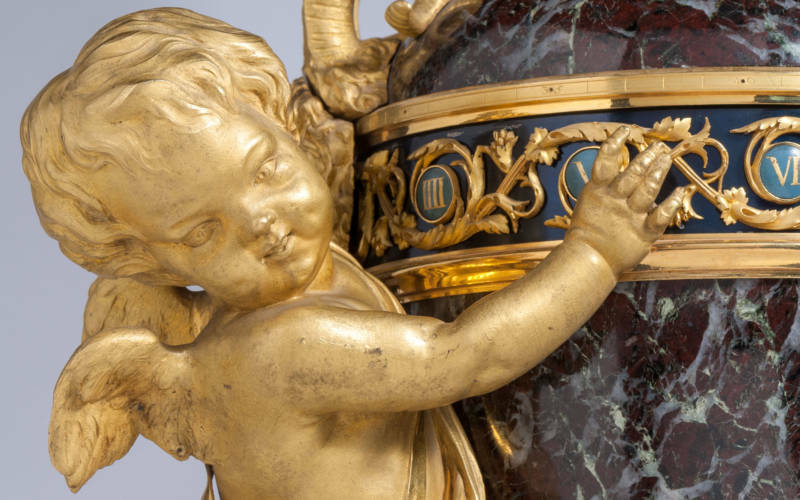 The Rothschild family’s interest in coins began with Mayer Amschel Rothschild (1744-1812), the founder of the family, who before he became a banker was a collector and dealer in rare coins and antiquities, publishing a catalogue of his collection every year. James began his collection of ancient coins aged 8. According to his wife Dorothy ‘He too, followed the family tradition in his youth, by making a collection of Greek and Roman coins, but these, like his stamp album, were put away with maturity’. 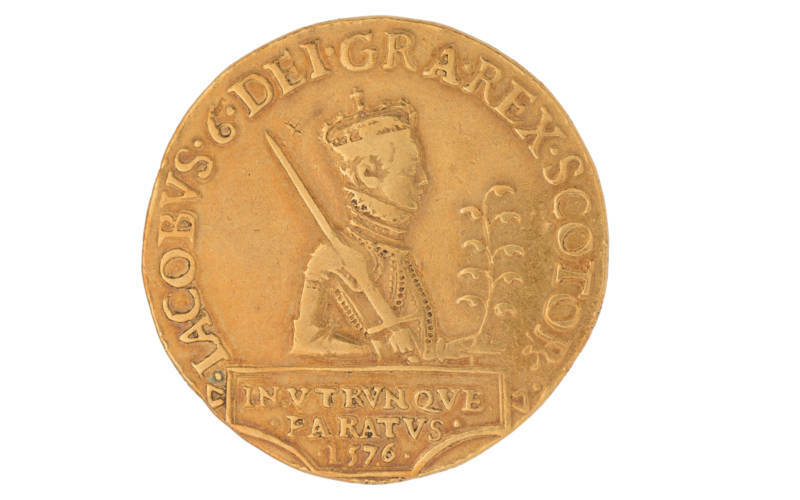 James was mostly drawn to gold and silver coins but his collection also includes interesting bronze examples. 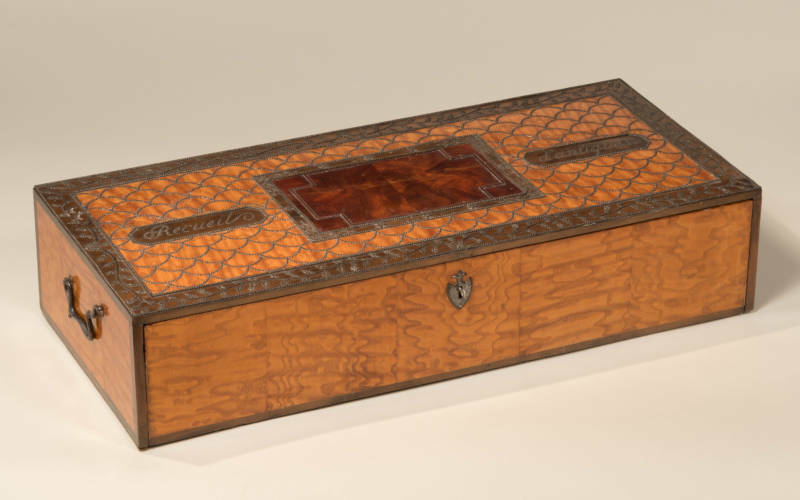 He kept them in his mahogany coin chest with bespoke trays to fit different sizes, marked and labelled in his own hand. James inherited Waddesdon in 1922 and on his death in 1957 he bequeathed the most significant coins in his collection to the National Trust; the rest remain in the family’s private collection. A group of coins from James’s collection depicting 11 of the 12 Roman Caesars – Emperors of Rome – are on display in the Red Ante-Room as an introduction to this year’s exhibition The Silver Caesars: A Renaissance Mystery. 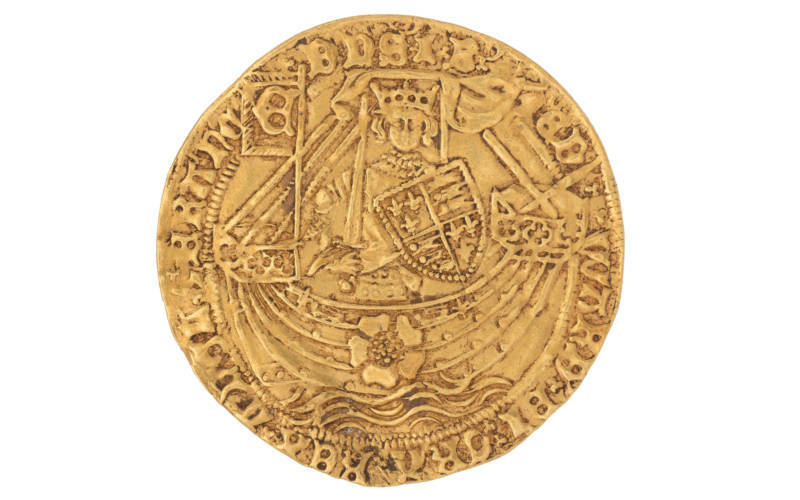 Also on display is an exceptional collection of 82 modern British gold coins from the reign of Richard II (1367-1400) to George VI (1895-1952). This collection was put together by Lord Rothschild’s father, Victor Rothschild (1910-1990). It’s a fascinating visual record of British royal portraiture and iconography over several centuries. 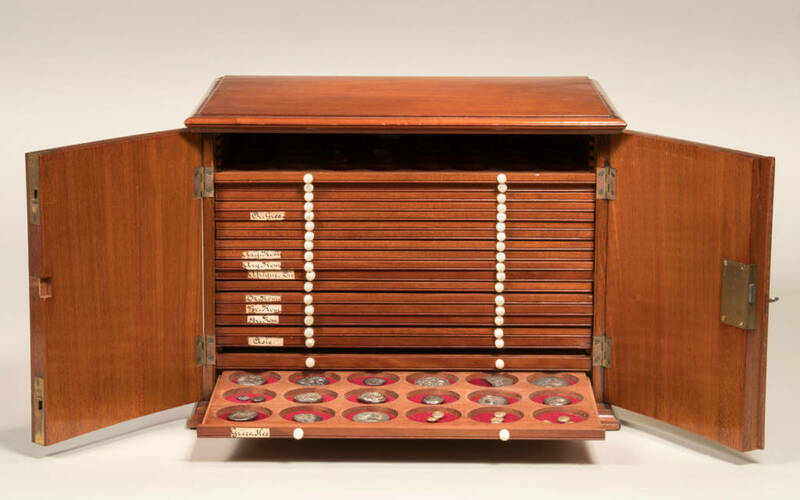 The coins are displayed inside a 19th-century Viennese medal chest intricately decorated with ash, sycamore and mahogany veneers and a set of scales in cut steel. Since antiquity, coins have been associated with wealth, power and status but they are also remarkable miniature works of art. They display the creativity and skill of sculptors and convey political or religious messages through compact but powerful designs. Ancient Greek coins are regarded as some of the most beautiful and sophisticated objects ever made. Coins first appeared in the regions of Lydia and Ionia (present day Turkey) in the late seventh century B.C. Where written sources are limited, they can tell us about the status, identity or character of a city, state or ruler. They provide clues to the beliefs, traditions, customs and ideologies of ancient civilisations and are a valuable source of knowledge for historians. 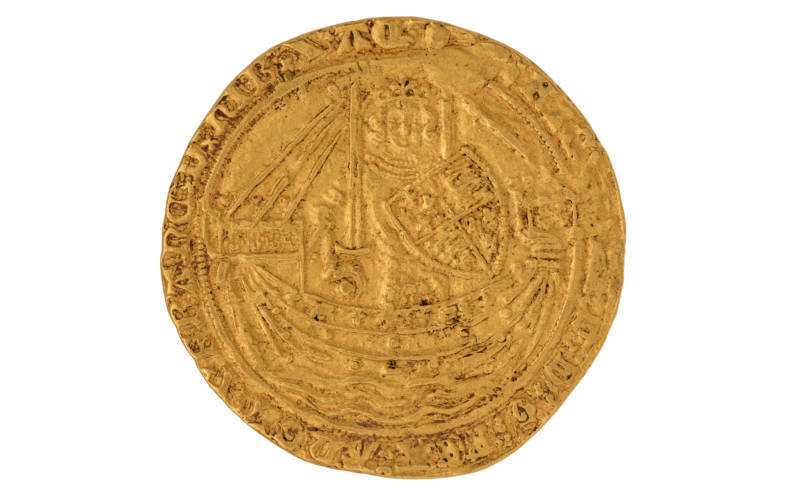 Ancient coins inform us about the likeness and character of early rulers and have been central for the understanding of Antiquity since the early Renaissance. Julius Caesar was the first ruler to use his portrait in coinage and started a tradition that lasts to this day. The rediscovery of classical antiquity in the early 1400s led to a renewed interest and revival of coin production throughout Europe. New techniques allowed artists to re-introduce naturalism and realism in portraiture and to create freer and more elaborate designs as the collection of modern British coins demonstrate.